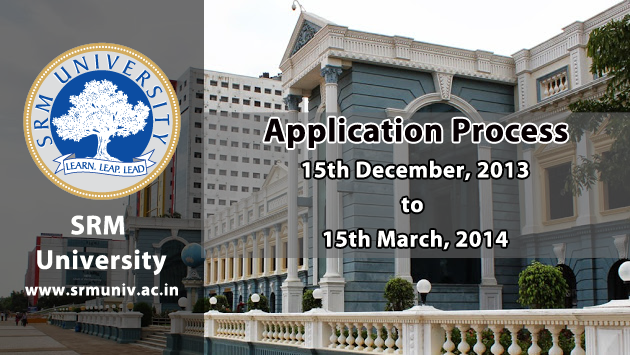 Application forms for SRM University 2014 Engg/Med. Application process of SRM University Engineering/Medical 2014 has now begun. Students seeking admission in SRM University should fill up the form now to avoid last minute rush. Online (Computer-based) : 17st April to 22th April, 2014 with two sessions per day. Join more than 1,00,000 students preparing for Engineering/Medical Exam in 2014 on simplylearnt.com. There is no better preparation for SRM University Engg/Med than reaching Milestone 9 - Nirvana before your exam day.